For me, this incredibly enjoyable novel is a perfect blend of literary and genre fiction, the sort of story I would love to read more of: intelligent, elegant, original, with both plot and character realised beautifully. It is a wonderful piece of real storytelling and yet it is tightly controlled; I could have read more and more and more about this world, but I'm glad the book isn't too sprawling. Its clear focus on who and what it is about is a great strength. With this one, you can believe the hype. 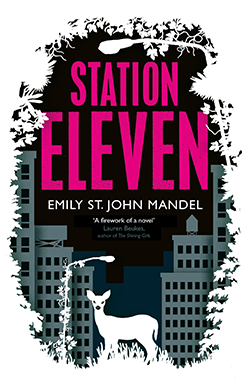 I received an advance review copy of Station Eleven from the publisher through NetGalley. I've just got my hand on a copy of this book and I am super psyched to get into it because all of the reviews read like this one. Love it when something lives up to the hype.